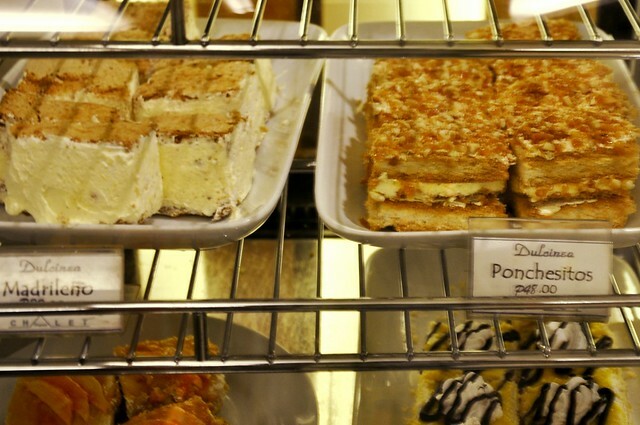 The Filipino Pancake House has been embedded in the Baguio food scene since the ’80s. The old Pancake House along Session Rd. 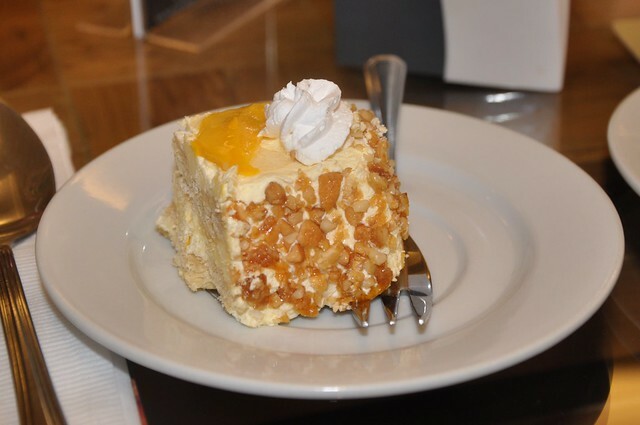 later on moved to the familiar spot on Kisad Road corner Marcos Highway (BGH Rotunda), and currently has a second location at the new Techno Hub in Camp John Hay. 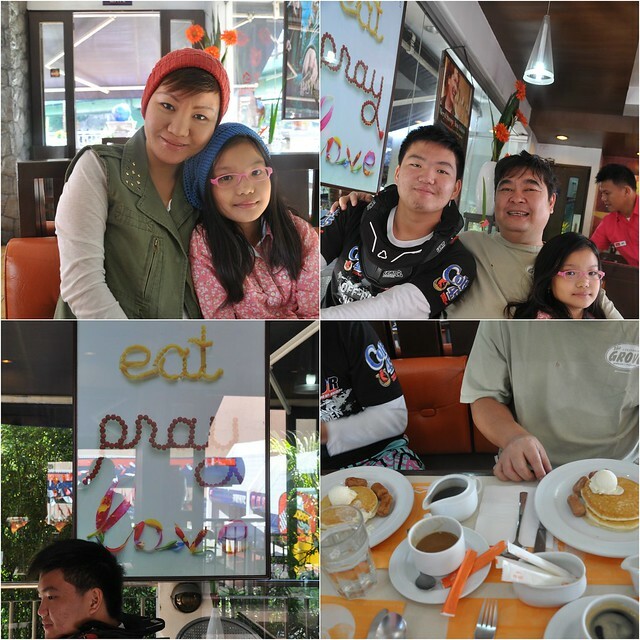 Comparable to IHOP, the Pinoy pancake and waffle place serves more than breakfast food. 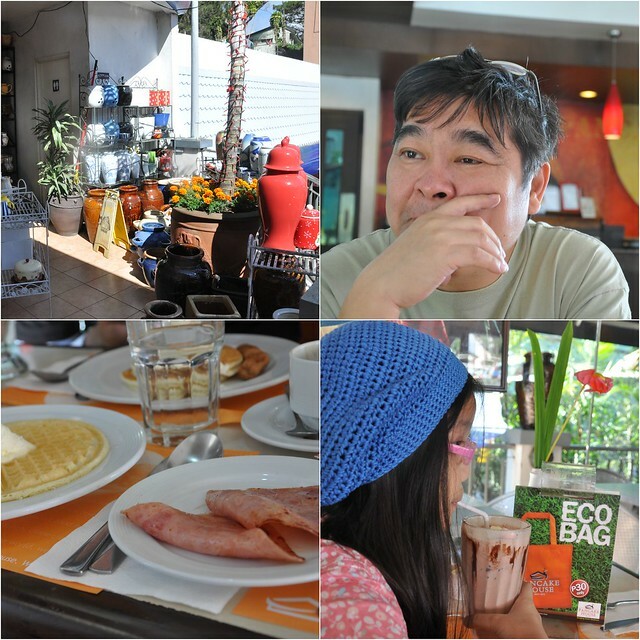 I’m biased about their salmon and bangus meals. The Sunday morning we were there, police escorts were all over the place. Team PNoy and UNA senatoriables were reported to have campaigned in two different venues. I heard the President led his bets besides fulfilling his duties as head of state at the Philippine Military Academy graduation ceremonies. 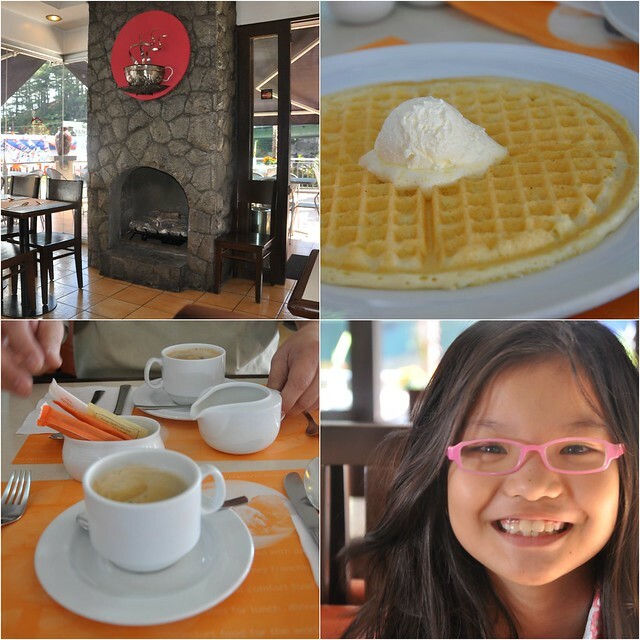 Alexa was walking on sunshine with her classic waffle. Father and son each had pancakes with country sausages that resembled tiny Vienna sausages. The little one snatched some of my sweet ham which I snapped with red velvet pancakes that honestly felt hefty inasmuch as I’m a reluctant breakfast eater. Sighted Dulcinea before going to Wood Nymph on the Military Cut-Off Road. 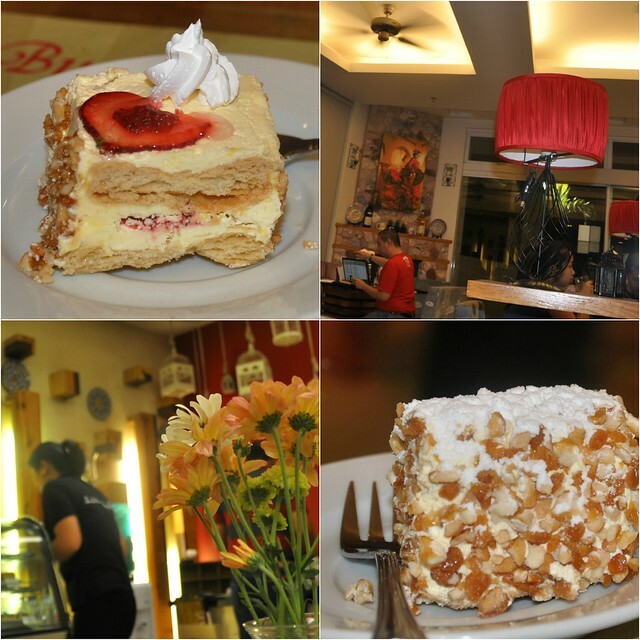 Unlike most Manila Dulcinea shops with that mallish feel to them, the Filipino-Spanish dessert place housed at the boutique hotel style Chalet Baguio is distinct and cozy. Quite lamentably, they didn’t have the full line of pastries, although savory entries were on the menu. We sat on Spanish cakes instead of churros con chocolate. Something was dismally lacking in the Dulcinea sylvanas and sans rival in comparison with both the mango and strawberry tiras which were the spotless combination of sweet, buttery and crispy features. 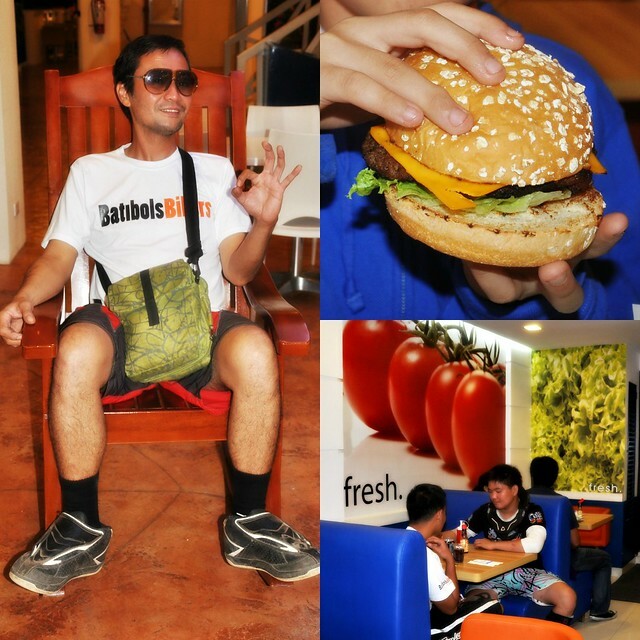 After a day at the race track, we (along with Chef Jack de la Cruz) unanimously voted for the Filipino-owned cult classic Brothers Burger over Seafood Island and Sumosam at the Techno Hub. I guess cold weather makes you cry out for brawn. 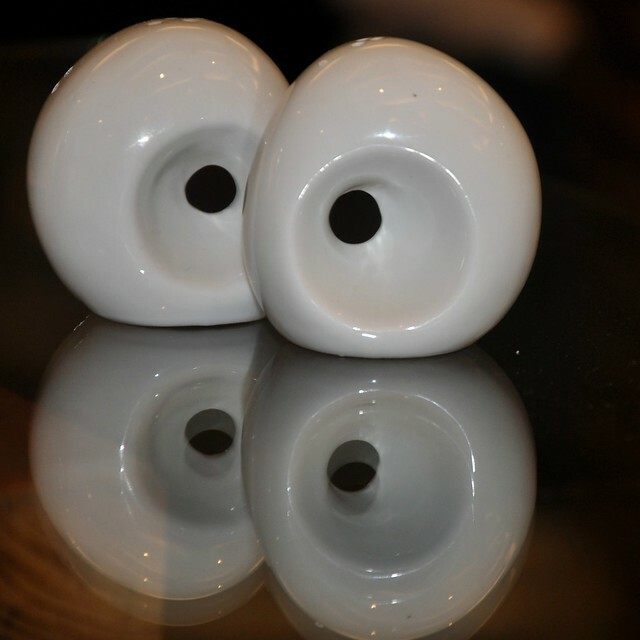 Upscale burgers and no ordinary fast food hamburgers. Speaking of the Ayalaland Techno Hub, it is a stretched-out office and retail complex, housing specialty shops, current Filipino dining favorites, and local restos such as Pizza Volante and Everything Nice. For the traveling foodistas who worry about parking space, the Techno Hub is your zone. 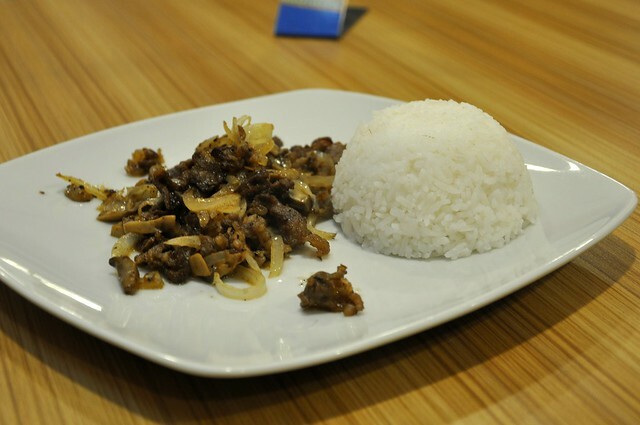 Though Brothers Burger is not recognized for rice meals, their beef salpicao was unexpectedly satisfactory. Quite like tapa, but more like dry bistek, the tender Spanish-style beef was neither dripping nor greasy. How could they run out of onion rings? Brothers Burger’s are the best breaded onions in the land so far! Even Alexa ate one whole beefy burger by herself. 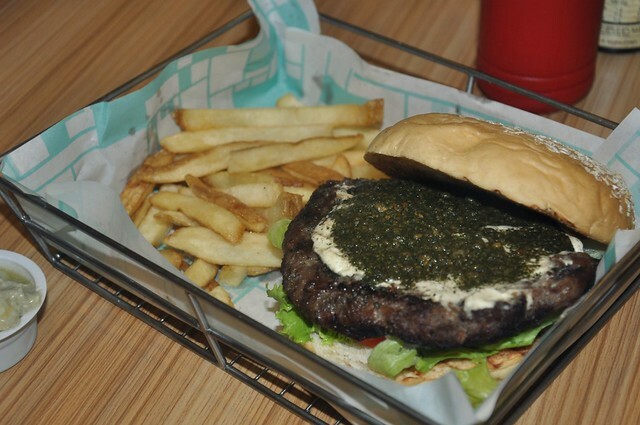 Brandon prefers lamb burger which is alien to Ilocos, though it’s somewhat a karnero country. 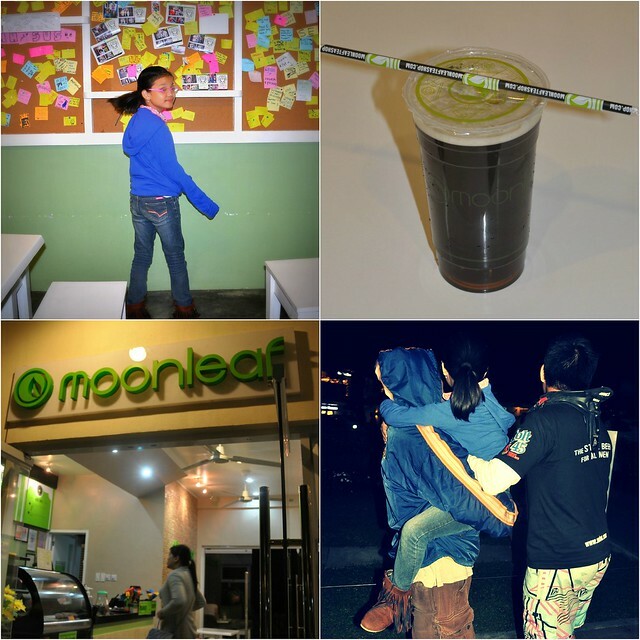 We found ourselves (girls) running to Moonleaf for after-dinner tea. 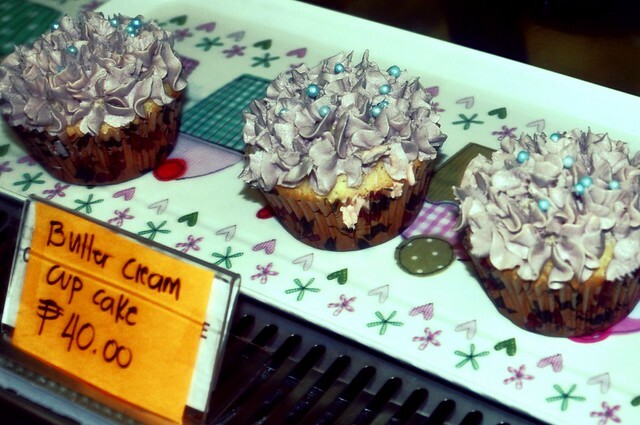 The tea shop with phenomenal beginnings in the UP Teacher’s Village in Diliman is growing its following around the country. 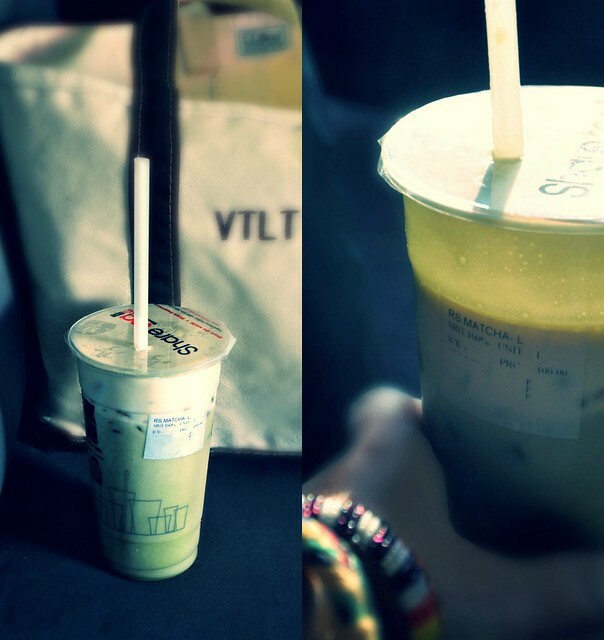 They serve only cold tea drinks, so I requested for an uniced wintermelon oolong tea. It is on the sweet side, however. Next on the blog, the killer downhill mountain bike race organized by Twenty Six Hundred.